Sitting is a common activity for most workers. We contemplate, concentrate, collaborate, communicate, and more while sitting, but rarely think about the impact our chair has on those tasks. Poor seating, or good seating used poorly, can make daily tasks difficult and significantly degrade your productivity – and that is scary. Commercial seating is manufactured for increased weight and wear compared to residential seating. However, that doesn’t mean commercial chairs are indestructible. There are limitations to weight capacities and daily usage because of the wear that occurs to the materials and mechanics of the chair. If you surpass these capacities, your chair with wear out faster than expected, if not fail completely. A good task chair is manufactured to support up to 300lbs for 12-16 hours each business day over the course of at least 8 years. A better task chair is manufactured to support over 300lbs for 24 hours each business day over the course of 12 years or more. If you are unsure of the usage design for your chair, contact your Wittigs representative or refer to your furniture warranty documentation. Modern task chairs incorporate numerous features to aid in adapting the chair to the user’s body. By utilizing these features properly, a user will achieve proper support, be able to maintain proper seated posture, and can experience better productivity during the work day. A fully-adjustable task chair that can accommodate at least 90% of the adult population is the better choice for most work environments. Features can include: pneumatic seat height, variable seat pan depth, articulating seat and back with variable tension control, and vertically and horizontally adjustable padded arms. While these features may seem intuitive, every workplace has users who know how to control at least half of their chair’s features. Your Wittigs representative is a great source for information tools and training of your adjustable furnishings. There’s a DIY saying: if it moves but shouldn’t, get the duct tape; if doesn’t move but should, get WD-40. While that adage is amusing, there is a better solution for your task chair. 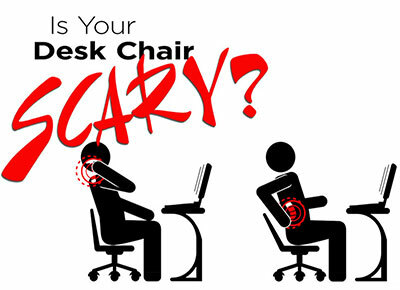 The alternative can lead to injury of you and your chair. The best furniture manufacturers fully warranty their seating for defects for 12 years or more. That full warranty will include the chair in its entirety: framework, mechanisms, seating foam, seat & back mesh and seating glides & casters. If you find any changes in the performance of your task chair, you should contact your Wittigs representative for rapid assistance. In addition to warranty management and repairs, your Wittigs representative can also assist with maintenance plans such as service contracts and annual furniture wellness reviews. There is little that can negatively impact your workday more than equipment that causes physical pain. With the number of seating solutions available through your Wittigs representative, it is easy to sit comfortably. A quality task chair will distribute pressure in the legs and buttocks, provide adjustable lumbar support and contoured back support, and allow for adjustment to the seat height and angle (tilt). Most importantly, your task chair should enable you to move comfortably throughout the day. If your desk chair is scary, now is the time to de-spook your seating. Contact your Wittigs representative for solutions that fit your body and budget to exceed your seating expectations.